Thin dark chocolate squares with soft ginger filled centres. Perfect to share after dinner or indulge on your own! Made from Divine’s award winning dark chocolate. 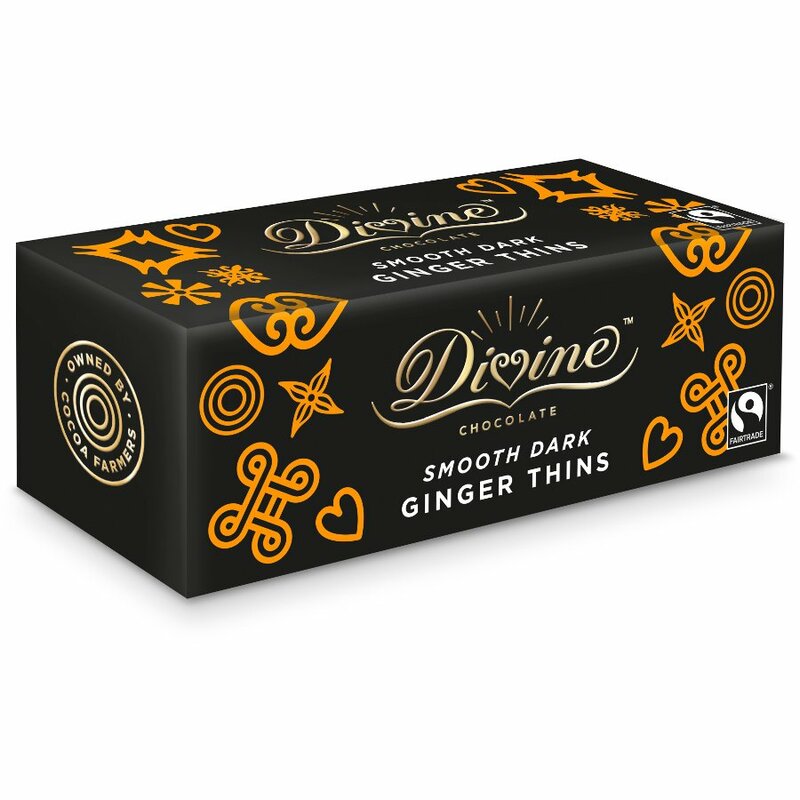 About the Suppliers: Divine chocolate is made with the best quality Fairtrade cocoa beans from Kuapa Kokoo, a cooperative of Ghanaian small holder farmers who own 33% of The Day Chocolate Company. This means they influence how the company is run and get a share of the profits. They are also ensured a guaranteed price for their beans and long term trading relationships which help them work their way out of poverty....that's fairtrade! Suitable for vegans and vegetarians. Free from artificial flavourings, colourings and preservatives. Dark Chocolate 65% (Cocoa Mass, Sugar, Cocoa Butter, Emulsifier: Sunflower Lecithin), Ginger Jelly 35% (Glucose Syrup, Sugar, Water, Gelling Agent: Pectin, Ginger Oil, Acidity Regulator: Sodium Citrates; Citric Acid). 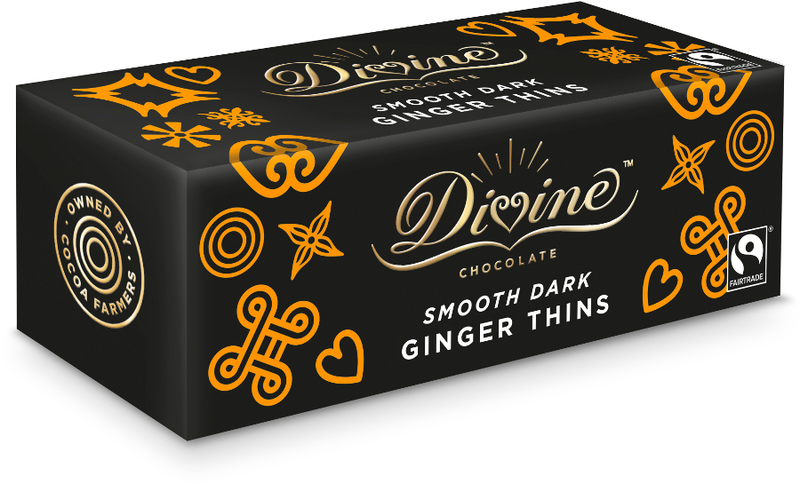 There are currently no questions to display about Divine Dark Chocolate After Dinner Ginger Thins 200g.